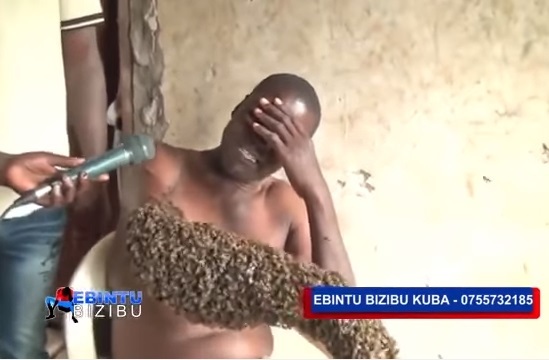 A man who reportedly stole a car, is currently crying out for help after the owner of the car used ‘Black Magic’ by making his hands afflicted by thousands of bees who remain on his body day and night. 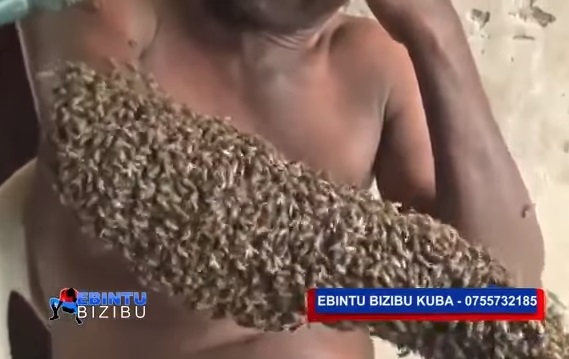 The unidentified Kenyan man revealed what had happened to him to Ebintu, a Kenyan local Media. The video which emerged online and is making the rounds on social media, was trailed by mixed reaction and criticisms after online users reacted on the pains the man is going through while others said he got what he deserved by stealing another man’s car.